Miguel picked us up as arranged and provided excellent service in transporting us back to Munich. We are now home. I paid Miguel for the return journey by credit card. Thank you for your wonderful service. We will definitely use you again! Are you currently planning a skiing vacation in the mountains of southern Europe and are still looking for the best way to get there? Well look no further. 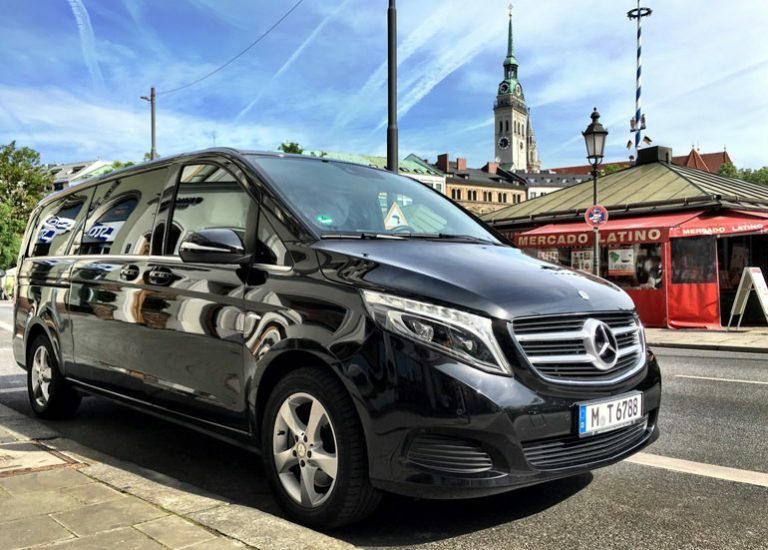 Our high-class and premium ski transfer from Tourstar Tours & Chauffeur Service is the best and easiest way to get to any skiing vacation destination in the mountains around Germany, Austria, Switzerland and Italy. Sure you could drive there on your own but that would probably be quite stressful. You probably don’t know the area very well and might not have a lot experience in driving in mountainous regions. Wouldn’t it be great if there were a transfer service that could get you there easily, safely and without much stress? We are that transfer service. We offer a complete and full ski transfer service that encompasses more than just getting you there. Our goal is to the ski transfer service that you expect and want. We will pick you up from any location in and about Munich. If you come from outside of Munich we will of course directly pick you up from the airport Munich. 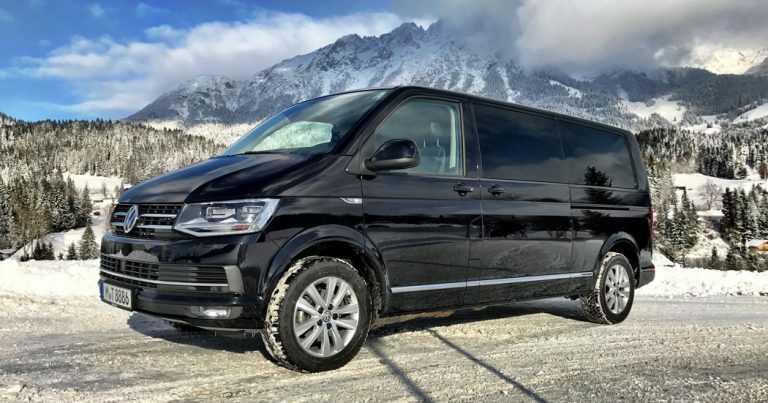 All the vehicles in our fleet are very spacious and have enough space in the luggage compartment to fit all of your luggage pieces and skiing equipment in there. So please don’t worry about any of your luggage not fitting. 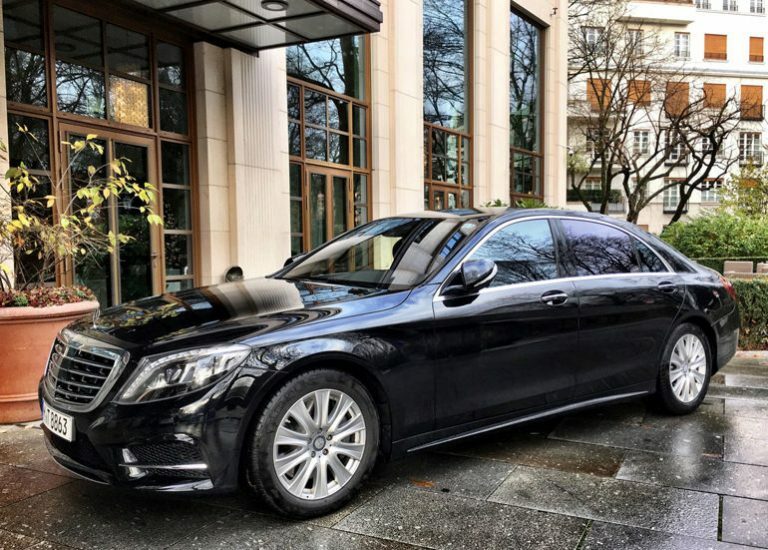 As we already said, we will pick you up from any location in and about Munich and drive you quickly and safely to your vacation destination with our ski transfer service. To us it doesn’t really matter if it’s Kitzbühel, Garmisch, Innsbruck or some other city. We know the regions very well and thanks to our extensive information and communications systems we can always find the fastest route. The only thing we need to know before planning the Route is where exactly you want to go and where we have to pick you up. You can leave the rest to us. We can predict traffic jams early on and can relate this information to our drivers instantly. This way we can make sure you’ll never waste time being stuck in a traffic jam. Speaking of our drivers, they are all professionally trained and have clean driving records. In addition to that they are required to partake in frequent winter trainings to ensure the absolute safety of our customers. This extensive care also stretches to the vehicles in our fleet. They undergo regular maintenance and are always up to standards. They also have all the necessary features to traverse even the snowiest and most frozen roads. We hope that we could convince you of the measures we take to guarantee your safety while using our ski transfer service. But our ski transfer service encompasses a lot more than just the safety of our customers. The whole point of a ski transfer service is that you can travel comfortably to your vacation destination without any stress. And that is exactly what we offer. Our drivers are extremely friendly, discreet and courteous. They will try to fulfil your every wish. To that end they also all speak fluent German and English. This means they can also tell you a lot of different interesting bits of information about the destination and the surrounding area. But being good at driving isn’t the only thing your chosen chauffeur is capable of. Our chauffeurs will have the utmost respect and discretion towards you and will never impede your privacy. When you do wish to communicate with him, you’ll be glad to know that he speaks both English and German fluently. They will gladly assist you with any Problems you might have. They have a lot of experience in the region and can recommend you the best restaurants, hotels and ski areas. If you’re travelling together with just another Person we recommend that you pick one of our limousines. If instead you were travelling with a larger group it would probably be wiser to pick a van. Our largest vans have space for eight passengers and all of your luggage and ski equipment. If you haven’t really planned anything yet, we will gladly help you in the organization of your vacation. As a company with the main seat in Munich we obviously know a lot about skiing vacations. We can give you recommendations on where to go, where to stay and what to do. You only have to ask us. Sure, a lot of people know the most common ski regions like Kitzbühel, Garmisch or Innsbruck but what about Davos or Bad Ischl? They might be less known but that doesn’t make them any worse. These regions have just as many beautiful ski tracks for you to race on. But skiing is just one of the many interesting activities you can undertake in these regions. Hiking, cross-country skiing and much more awaits you in these lovely and idyllic skiing regions. Whatever you choose to do in the end, we always have the right solution with our ski transfer service. We hope that we were able to convince you of our extensive service and look forward to hearing from you.